Yovo is a fast and fun way of streaming and watching UK based television channels on the internet. Whether you’re interested in the latest series on the BBC iPlayer or would like to catch up on sports using the ITV Hub, we have you covered. Using the latest technology, our service is many times more reliable than a VPN. The mechanics behind it is something we’ll likely get into in a future post, but it has to do with how we’re able to mask both your IP and DNS servers. Never again be disappointed by not being able to watch your favorite shows whenever you want. We’ll be opening up to the public soon, so please come by again soon and join the revolution. The UK offers a wide variety of channels and television programs for you to watch such as ITV, BBC, and Sky. Certain services will enable you to catch the shows you have missed. If you are not living in the UK or you are away from home, you still have options to watch these great shows while abroad. While the majority of UK TV channels have been blocked for anyone out of the country, or geoblocked, there are ways you can get around this issue. 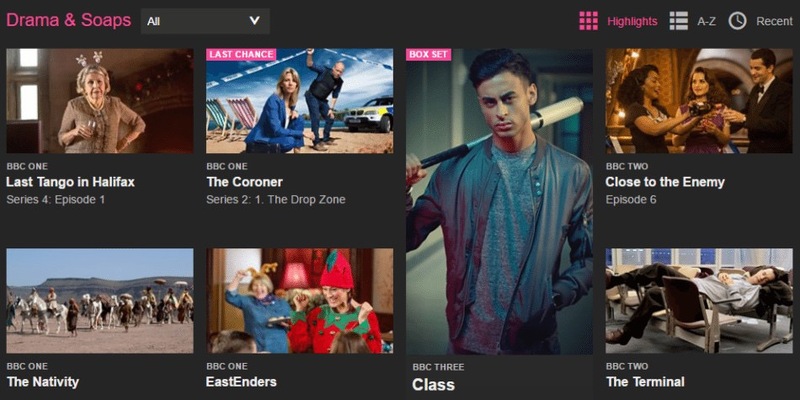 You can enjoy UK TV from all over the world with a web browser. Browser plugins and installing software are unnecessary. FilmOn offers 26 free channels such as CBBC, BBC One, BBC Two, Channel 5, ITV1, BBC News, E4 and Channel 4. This works through flash video embedding. Smartphones and tablets can be used through a mobile site. These broadcasts can only be watched for free in standard definition. The quality of the picture and sound is a little shaky but its better than missing a critical news bulletin or sensational football match. Your channel selection is limited, so TV broadcasts must be found elsewhere. Websites like iTV player, 40D and iPlayer can be used by installing a plugin. WatchBritishTV gives you live streams for all the main channels such as Dave and Film4. You can stream recent shows approximately six hours after they have aired. You can search by name because they are not categorized by genre or channel due to copyright issues. You need to subscribe, but the basic subscription is free. The iPlayer and Sky Go services are only available if you are paying a fee so it cannot be used once you leave the country. You can download players before leaving or use a VPN to circumvent the geoblocking. You will need a registered device for Sky Go. A VPN or Virtual Private Network tunnels network traffic, so it looks like it came from another country. If you are in the US and want to watch the BBC, a VPN will typically be your answer. This is assuming, of course, that whatever provider you go with operates servers in the United Kingdom. Though these days, VPNs that don’t do so are few and far between. This entire process works in reverse too. You can tunnel back to the UK while abroad to watch local streaming services. Your browsing will be safe because your VPN will protect your data. 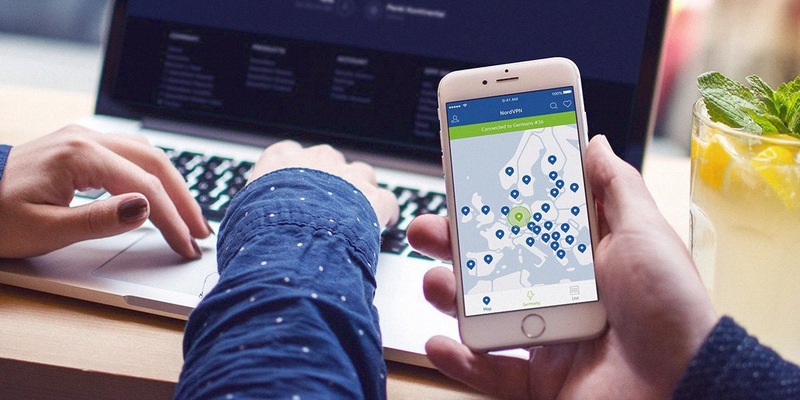 NordVPN is an excellent choice for VPN because it supports Android, iOS, OC, and Mac. It also works with all of the streaming services in the UK. You have a money back guarantee for thirty days so if you are not happy with the service you can cancel your account for a refund. Once your account is registered, download and install the client on your computer. There will be a prompt to install a driver to get the service to work. Then use your account details to log in, pick the country you will be connecting to like the UK, and your connection will be established through the tunnel. You can access open content by opening a streaming service based in the UK. A separate VPN app will need to be installed. Look in the Google Play Store or the Apple App Store for the NordVPN. Follow the instructions and use the help section if necessary. Now you can easily connect to the UK services. This service will not always work and is a bit slow, but the VPN is free. If you have a PC or Mac, the free CyberGhost VPN software will make it look like your computer is in the United Kingdom and solve the pesky problem of geoblocking. The issue is the free software is slower than the premium version. This means it takes time to connect. 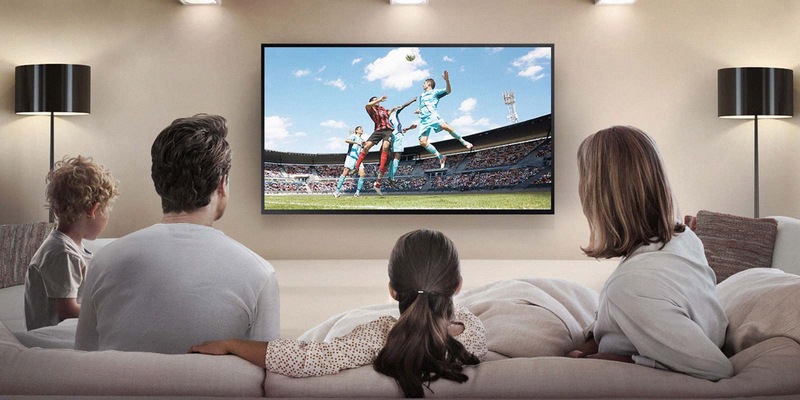 If you watch TV a lot, consider paying for the premium version. It is hands down the best BBC iPlayer VPN you can get. First, download, install and run the CyberGhost software. You can close the pop-up offering an upgrade. Click the large yellow button when the software starts to connect automatically to the VPN. You should not need more than a few minutes to connect. Your computer will automatically be placed in a country. Choose America, find the menu under Simulated Country, choose the UK, click OK and on the next screen click Reconnect. CyberGhost will locate a slot and connect. The map will update, and you will be in the UK. VPN’s including CyberGhost can make your mobile believe it is in a different country. The version for Android is free, but there is an annual subscription for iOS. Tunnelbear is free for iPad and iPhone if you use under 500MB of data each month. If you have an Android, install the app and spoof your IP address. For iOS, choose the relevant name from the list. Tap on the country you want to spoof, turn on the VPN and start streaming. Last but certainly not least, one of the best ways to watch UK television from abroad is to use Yovo. Our service will be online shortly and once it is, will perhaps be the most effective way of accessing British content online. While we can’t, unfortunately, tell you more just yet (we do like to keep an element of surprise), you’ll have to take our word that you’ve never seen UK online television watching made as easy and problem free as Yovo will make it. You may have noticed that certain online content is limited to specific countries or regions. It’s possible you’ve heard of companies like Amazon charging different prices for products depending on the buyer’s country of origin. You have undoubtedly heard of nations not allowing their citizens access to some sites. These are all examples of the technique known as geoblocking. 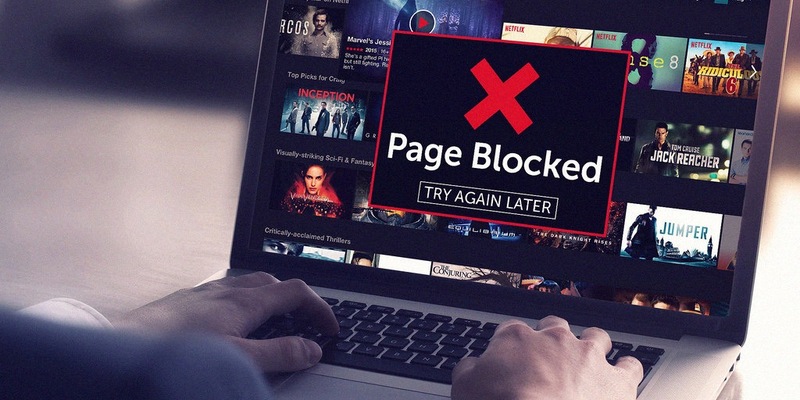 At its most harmless, geoblocking is a tool content providers can employ to limit access to programs and films. This way a movie studio, for example, can sell rights to a movie in theatres in one country and to online distributors in another. For example, Paramount released their film “Annihilation” in the US and China in theatres while making it available in other countries on Netflix. Geoblocking ensured that American and Chinese consumers would have to go to the movies to see the film while their UK counterparts could watch it from their living rooms. But, geoblocking has a darker side, as well. While movie studios use geoblocking as a harmless tool to guard profits, some countries use it to stifle their citizens. North Korea’s “Great Firewall” is but one example of a regime using technology to limit access to information, and restricting the global internet to a small subset of government-approved content. Access to information outside its borders is illegal and enforced via geoblocking. Content providers, as mentioned in the first example above, leverage IP addressing to enable countrywide geoblocking. Every Internet user is given a public-facing IP address by their internet service provider (ISP). Whenever you access a site, your IP information is sent to the site owner. Since ISPs and the addresses they hand out are organized geographically, site owners can quickly determine a request’s country of origin. They can then limit or outright block content selectively based on location. The good news for you is there are tools available to get around geoblocking and access all the content the Internet has to offer. Tor is an application that uses routing to enable privacy. With Tor installed, your traffic goes through the connections of various other Tor users before exiting this ad-hoc network and getting to the destination site. Tor can be customized by users by entering a “country code” in a configuration file, which can beat geoblocking. The drawback to this would be the need to reconfigure county codes constantly, and that content providers may merely block all Tor access. A proxy is an online service that allows users to send their traffic to a proxy provider site first, then to the destination site. A user’s address appears to come from the chosen proxy’s county instead of their own. The weakness of this solution is that proxies are purely for the browser, so things like smartphones, other apps, and smart TVs would still be blocked. Virtual Private Networks (VPNs) are the most effective way to bypass geoblocking. A VPN creates a tunnel from your network to another network, so the traffic looks like it’s coming from the other network instead of yours. For example, if I am in America and want to watch geoblocked BBC content, I open my VPN application, pick London as my destination, and connect. After that, all my Internet requests look to site owners like they are coming from a London-based IP address, defeating geoblocking. A VPN can even be configured on a home router, allowing every connected device to take advantage of its benefits. While some services like Netflix are always working to block VPNs, the technological “arms race” is ongoing, and at least UK VPNs are winning. Perhaps we’re a little bias, but we’re firm believers that our service Yovo is by far the most advanced and painless way to get around geoblocked UK content (support for other countries will be coming soon). Every other solution has downsides. Just reading about the potential issues streaming video over VPN should make you cringe. If that’s what you’re used to, you’ll be amazed just how problem free and easy Yovo is. The Internet was envisioned as a place where ideas, information, and content could be shared freely, unrestricted. Geoblocking restricts that flow of information, sometimes for profit, sometimes for political reasons. If you believe “information wants to be free,” try some of these geoblocking countermeasures today. In other words, try Yovo! 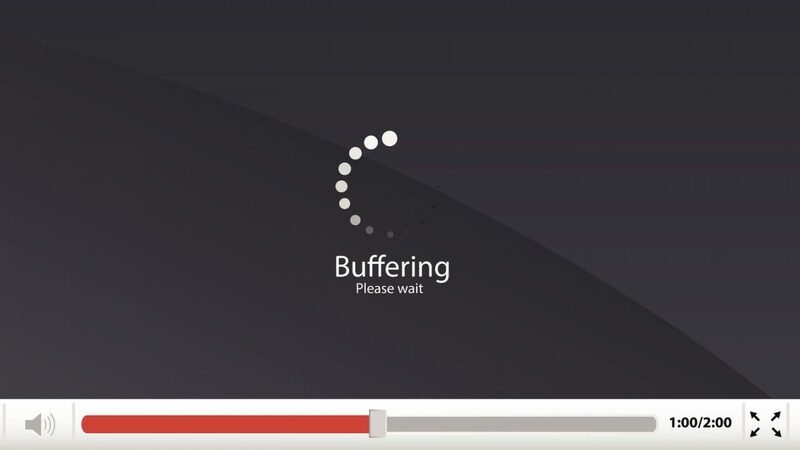 During the early ages of the internet, if you wanted to watch an online video was, the only option was to download it. But as technology advances, an increasing number of people have started streaming video. Soon, streaming videos began to become the main way of watching British movies and TV. Today, almost everyone streams content from services such as Amazon, Hulu, and Netflix. Like any other activity that involves the use of the internet, streaming video comes with its own inconveniences. In some cases, you may be locked out from watching some shows depending on where you live, a practice known as geo-blocking. 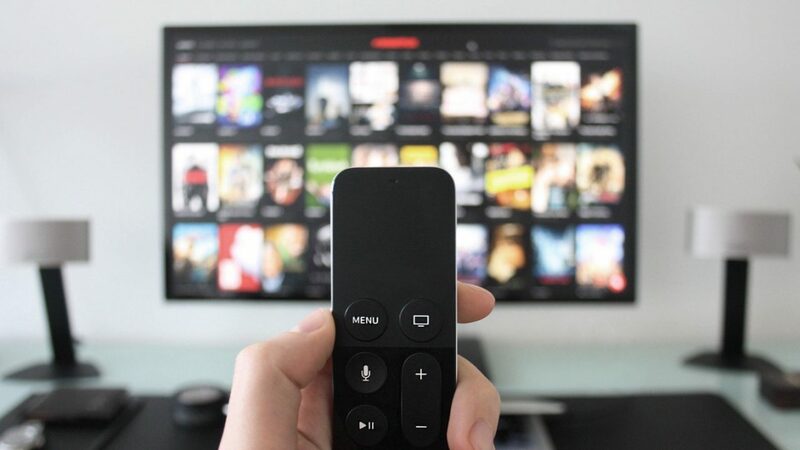 This has made some users turn to Virtual Private Network (VPN) to help them navigate through the many pitfalls that come with streaming video online. While a VPN may help you access geo-restricted content and mask your identity or browse safely over an unsecured network, using it comes with its fair share of challenges. It may seem counterintuitive, but it is real. In the next section, we have covered the most common problems associated with streaming video over VPN and by extension, why Yovo is a superior solution. There are two types of streaming service that you are most likely to encounter when using VPN to stream video. The first is legal sites such as Hulu, Netflix, and Amazon. The other type comprises pirated sites such as TVMuse, SolarMovies, and KissCartoon that fall into a gray area. Regardless of which option you use for streaming, many other issues will arise at some point. You are trading off the convenience and privacy that comes with using a VPN for lower speeds. 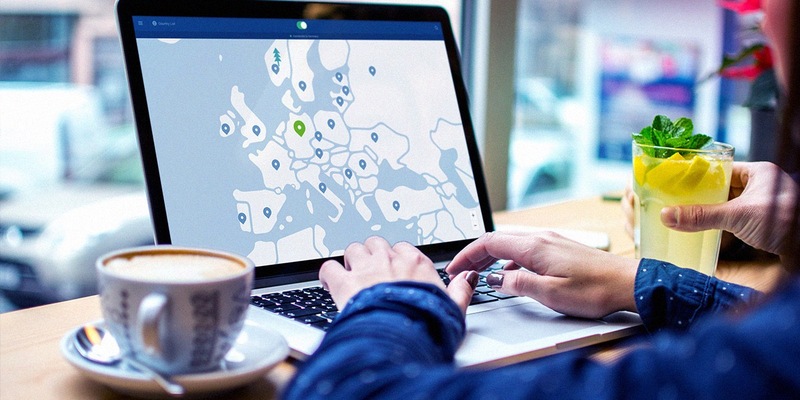 Using a VPN involves transferring your IP address to a new location through the use of dedicated servers located in different parts of the globe. This process may take as much as 20% to 50% of your bandwidth. Unfortunately, most videos are available in rich media formats, so they consume sizable bandwidth. So, any reduction of bandwidth will most likely affect the quality and consistency of your streaming. The quality of your stream can also be affected by other stuff you are doing on the VPN. If you are on a 256k line and running several applications on it, no matter how good the hardware you are using is, you are most likely to experience problems streaming online videos. There is always a contention about the best option between IPsec vs SSL VPNs. Some professionals prefer IPsec VPNs for their powerful conversion capabilities, which can drastically save on bandwidth. However, this can be counterproductive because of low throughput and increased latency. The wrong technology choice can hurt throughput because the hardware is engaged in decompressing. Encryption leaves VPN throughput to depend on CPU cycles instead of the high-speed lines. In other words, you will experience unstable streaming if you are on a slower technology. This is one issue Yovo users never have to worry about. The various types of traffic that pass through the VPN may have varying qualities of connection. Jitter and latency can affect the quality of streaming. The presence of other videos on the network could also trip up other types of traffic. Sometimes, the performance of your VPN is affected by the shared usage. If you have children playing games that eat much of the bandwidth, the remaining bandwidth may not be enough to stream online videos. This problem is more severe among VPN users who are on the road. That is why some airports and hotels block off VPN access because of unreliable speeds. This is one of the significant problems, especially in corporate networks. Sometimes there is a rapid burst of VPN usage like when a substantial number of simultaneous users come online at the same time, or if individuals are using VPN more heavily. This will max out available bandwidth. Sometimes, viruses in the system can also slow down the connection. The best solution if you want a safer and faster connection is to scrutinize what you are offered by providers. Understand the risks you are willing to accept. That said, you should note that if your VPN is not connected through private circuits, you have no Quality of Service (QoS); there is no QoS on the internet. An Increasing number of external bodies and governments are actively working to prohibit the use of VPN or blocking VPN data transmissions. Apart from this, VPN providers have to contend with blanket bans by video streaming platforms such as Netflix. These again are issues you don’t really need to worry about when using Yovo. These organizations are using a combination of filtering and monitoring techniques such as the behavior of users or blocking network ranges that have displayed a specific connection pattern. So, if you have your VPN on and you can’t still access Netflix, they may have blocked you. Using VPN to access services you have paid for within the allowed geographic limits is legal. However, using VPN to access services such as Netflix outside the US, means you have broken Netflix’s Terms of Service (TOS), and this could lead to termination of your account. Naturally, people like free things. If you are on a tight budget, this can be a cost-effective way to get VPN service but remember you only get what you pay for. If you choose to use a free VPN for video streaming, know that there are restrictions. Most services will outright block you from accessing their streaming platforms. And if you are lucky to stream, you will most likely stream low-quality videos because of speed restrictions. Beside this, a majority of free services come with hard data caps, which can drastically reduce the amount of data you can stream. Watching even a short movie will likely consume your data cap for a whole month. Using your data too quickly could trigger some providers to discontinue your free service. So, free may end up costing you more. It is no secret that VPN will continue to play a significant role in improving the streaming experience, but you have to address the challenges that come with VPN connections. Your choice is clear. You can either use the above guide to try and solve any problems that come up or use Yovo and never have to worry.